Pakistan’s first FinTech Center established at Information Technology University (ITU) of the Punjab will ensure financial inclusion and make large portion of our population part of economy through technology in collaboration with Bill & Melinda Gates Foundation (BMGF), which is represented by Karandaaz Pakistan. Dr. Umar Saif founding Vice Chancellor ITU, Chairman PITB and Advisor to the CM Punjab said in an agreement signing ceremony held here today between ITU and Karandaaz to initiate three research projects through the Fintech Center established at ITU. Pakistan was a growing economy and the gender based financial inclusion would become part of the documented economy, he added. Dr. Umar Saif, further said that joining hands with international development partners Bill & Melinda Gates Foundation and Karandaaz for innovation and research in financial technology space was a welcome step. We envisioned to partner with local and international entities for financial inclusion through innovative applications of technology to help Pakistan to reform the digital financial services especially with inclusion of women, he said. Ali Sarfraz Hussain CEO KARANDAZ said that together with Bill & Melinda Gates Foundation (BMGF) and UK’s Department of Development we were working with various departments for financial inclusion including National Savings, State Bank of Pakistan and Agriculture Department of Punjab while with special grant first FinTech center being established at ITU Punjab. Jason Lamb Deputy Director Financial Services for the Poor, Bill & Melinda Gates Foundation (BMGF) said that Gates Foundation focused Pakistan among the five largest countries including Indonesia, Algeria, India etc. Digital technology was playing key role in fundamental changes in services with credit availability, he added. Jason further stated that more knowledge and research would trigger greater financial inclusion of women through technology in Pakistan. 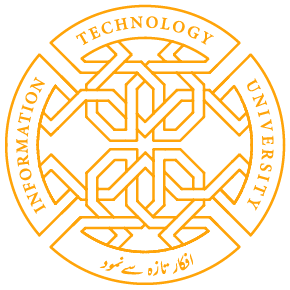 It is heartening to see academicians stepping up to work closely with the industry in solving issues and that Karandaaz and ITU have partnered to make this possible, he said. He said ITU’s FinTech would devise many innovations and some research projects while three specific academic researches undertaken by this FinTech Center would improve the existing knowledge on women’s use of digital financial services and the barriers they face. The research center will help to develop a deeper understanding of the challenges in financial inclusion and exploring the potential of data science and Information Communication Technologies as a viable solution. Women in Pakistan often face multiple barriers in availing formal financial services. These researches will help in understanding and proposing solutions to mitigate these barriers. The researches shall be conducted in Pakistan with technical collaboration between Digital Financial Services Research Group of the University of Washington, Seattle and ITU faculty. One of the researches will focus on viability of a mobile app to form a rotating savings and credit association of women that will help them save and borrow collectively. Another research will help in designing a digital financial system for business and personal use of micro entrepreneur women. The third research will focus on digital solutions to safeguard women against SMS frauds in Pakistan. Share the post "ITU AGREEMENT WITH BMGF’s KARANDAAZ PAKISTAN FOR FINANCIAL INCLUSION THROUGH FINTECH CENTER TO DOCUMMENT ECONOMY-Dr. Umar Saif"